Chmakova, Svetlana, 1979-, author, artist. Chmakova, Svetlana, 1979-, author, illustrator. "In his daydreams, Jensen is the biggest hero that ever was, saving the world and his friends on a daily basis. But his middle school reality is very different: math is hard, getting along with friends is hard, even finding a partner for the class project is a big problem when you always get picked last. And the pressure&apos;s on even more once the school newspaper&apos;s dynamic duo, Jenny and Akilah, draw Jensen into the whirlwind of school news, social experiment projects, and behind-the-scenes club drama"-- Provided by publisher. Auggie Pullman was born with a facial deformity that prevented him from going to a mainstream school, until now. He&apos;s about to start 5th grade at Beecher Prep, and is nervous about being the new kid at school. The thing is Auggie&apos;s just an ordinary kid, with an extraordinary face. But can he convince his new classmates that he&apos;s just like them, despite appearances?. "When thirteen-year-old Truly is invited to sit at the Popular Table, she finds herself caught in a web of lies and misunderstandings, made unescapable by the hyperconnected social media world"-- Provided by publisher. Callie rides an emotional roller coaster while serving on the stage crew for a middle school production of &apos;Moon Over Mississippi,&apos; as various relationships start and end, and others never quite get going. McQuarrie Middle School&apos;s students miss Origami Yoda when Dwight leaves for Tippett Academy, but he sends Sara a paper Fortune Wookiee that seems to give advice just as good as Yoda&apos;s--even if, in the hands of girls, it seems preoccupied with romance. Seventh-grader Georges adjusts to moving from a house to an apartment, his father&apos;s efforts to start a new business, his mother&apos;s extra shifts as a nurse, being picked on at school, and Safer, a boy who wants his help spying on another resident of their building. "Lily Jo McGrother, born Timothy McGrother, is a girl. But being a girl is not so easy when you look like a boy. Especially when you&apos;re in the eighth-grade. Norbert Dorfman, nicknamed Dunkin Dorfman, is bipolar and has just moved from the New Jersey town he&apos;s called home for the past thirteen years. This would be hard enough, but the fact that he is also hiding from a painful secret makes it even worse. One summer morning, Lily Jo McGrother meets Dunkin Dorfman, and their lives forever change"-- Provided by publisher. 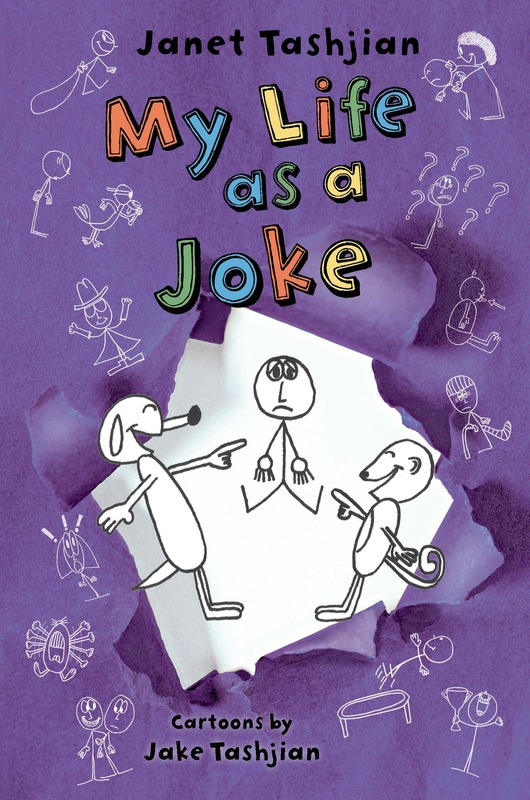 When Sonia&apos;s father loses his job and she must move from her small, supportive private school to a public middle school, the half-Jewish half-Indian sixth-grader experiences culture shock as she tries to navigate the school&apos;s unfamiliar social scene, and after her father is diagnosed with clinical depression, she finds herself becoming even more confused about herself and her family. In this novel told through letters, newspaper articles, and police reports, a middle school principal&apos;s bathroom renovation project leads to the discovery of stolen Roman antiquities. Nikki&apos;s diary is up to the month of April, and springtime is sure to bring more wacky adventures with Nikki and her friends Chloe, Zoey, and Brandon!. Moving into an apartment when his father loses his job, Georges befriends Safer, a twelve-year-old coffee-drinking loner and self-appointed spy, who recruits Georges into the world of espionage so that they can investigate a mysterious neighbor who lives on the top floor.